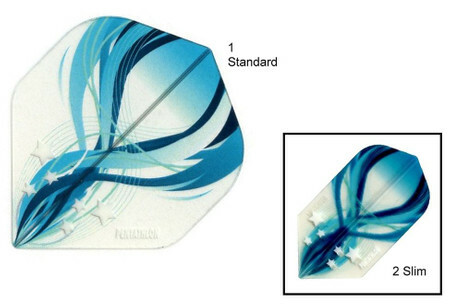 Top designed new Pentathlon Flights with design Techno blue. 100 Mikron strong. Long lasting durabilty. For Techno blue Standard Flight please choose Type 1, for Slim Type 2.